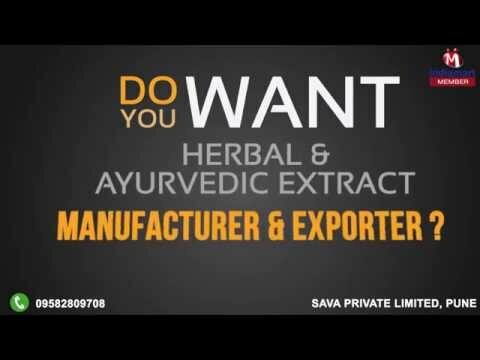 Welcome to SAVA Private Limited, established in the year 2009, we are prominent manufacturers, suppliers and exporters of a wide range of the finest quality of Herbal & Ayurvedic Extracts. The product range consists of Ayurvedic Extract, Medicinal Powder and Herbal Extract. Their effectiveness, accurate composition, enhanced shelf life, precise pH value and purity, make these extracts highly demanded as home remedy for medical purposes. Before dispatch at the clients%u2019 end, the offered natural & herbal extracts are packed with standardized packaging to ensure a safe transportation. We export our products range to US, Europe and Taiwan.